K-Roll's "Because Racecar" Fitness Plan!! It has something to do with cars, in a way. I'll explain below. I'm a tennis player and I played varsity in high school; my college has just started a team that I wanted to join; unfortunately, I really let myself go over the last year; focusing my time on studying and not giving myself any time to hit the gym and workout. Because of that I didn't feel comfortable playing on a college team while not being able to perform to my best ability. And that's why for the rest of this year and for as long as I can, I've created a cardio-intensive fitness plan that I have called: K-Roll's Because Racecar plan! So today, I began this plan by running 1.1 miles to the local Target to buy some earbuds and an armband that you see in the lead pic to make running more enjoyable. 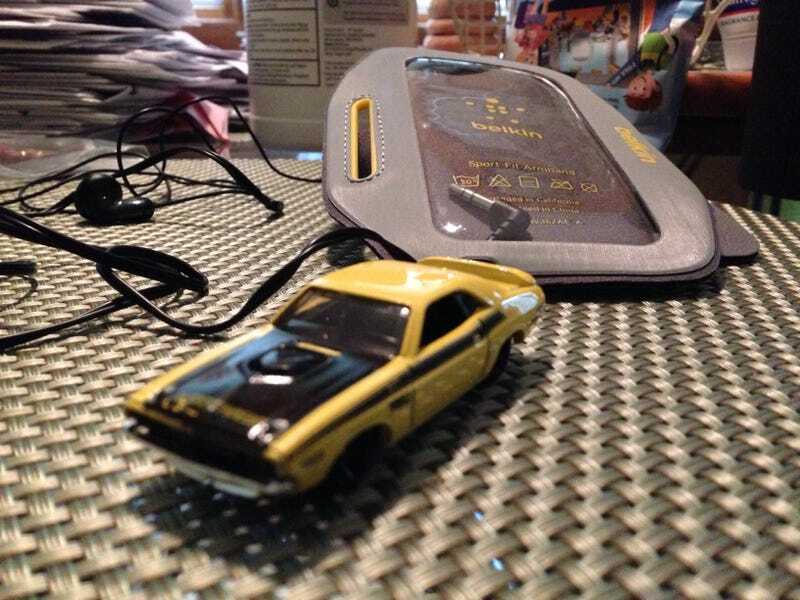 Surprised that I did this without stopping, I decided to treat myself to a Hot Wheels, so I bought what is now my second favorite one: this 1971 Doge Challenger 340 Six Pak! !